The Quality crew, which includes and is not limited to Jason Lyman, Michael Poe, Jeff Pons, Travis Owens, Doug Black, & Xavier Mathais, has really pushed the deep house and techno sound in a time in Columbus when bass and electro house have really dominated. This is not to say that the popularity of these contemporary genres is at all bad. Such judgements are really not useful, as these contemporary sounds are vital to the emergence of a whole new generation of dance music fans. Despite this, I think the success of their Groove and Quality parties is a testament to the expansion of our scene to include many different sounds. Such sonic expansion is vital to the overall health of our scene, as it allows for the cross pollination of the old and new, as well as the the fresh and the timeless. No doubt, Jason, along with his fellow associates like Jeff Pons, Scott Litch, Doug Black, have really pushed forward our understanding of what parties can be successful as well by carving out a special niche for the “low key lounge party” where people can dance to solid grooves in an arty, trendy atmosphere. If you want to experience a Quality party first hand then you are in luck. Jason Lyman, Jeff Pons, & Michael Poe are all spinning this saturday at Basil starting at 9:30 pm. Event details can be found HERE. 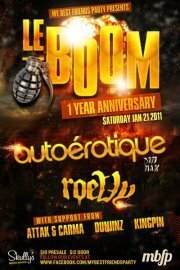 You know I will be there tearing up the dance floor to some deep grooves! Also, make sure to check back here on Friday for Lyman’s full exclusive interview. This week is devoted to another cat trying to hold down the Columbus Techno tradition and push it in exciting new directions. Plural is a guy that doesn’t get a lot of attention in our scene, but has been quietly destroying release after release since he started producing in 2000. I just picked up his 2011 EP Emotional Conflict from UK label Audio Textures Recordings and it was absolutely bonkers. It was straight-laced, rhythm centered techno that hits his core sound, which descends from his love of the exploratory work that came out of detroit over the last three decades. The fact Plural was released on Audio Texture Recordings, run by Kevin Collier and his distribution group, says a lot since this label has been putting out techno recordings since 1999 and has had the reputation of only releasing the finest in techno releases from around the world. In addition to this releases, Plural was also given the privilege of releasing a vinyl only ep on German label Separate Skills called “In Darkness”, which you can hear streams of on the labels website HERE. I mean these tracks are amazing. They have a subtle gentleness to them that just floats over the top of you until that beat hits and drives you insane. This is characteristic of Plural releases, as he loves to play with the atmospheres behind his rhythms. It gives his releases an otherworldly feel. What’s funny is that most people would be happy with the release of two eps of all original material within a year. Not Plural. The dude doesn’t know when to stop. He is a tireless producer that is always trying to take his game to the next level. If you have any doubts to this just check out his soundcloud HERE. He has put up FOUR HUGE tracks within the past month alone. Yet, this is no surprise, because prolific productivity has always been a bedrock of value of Columbus Techno artists. Whether it was Todd Sine, Archtype aka Charles Noel, or Titonton aka Titonton Duvante, or other artists from Columbus’ ele_mental group, new material was always being shared, played, and created in Columbus. Artists like Plural and another Local Autonomy favorite FBK carry on that tradition for Columbus and keep this spirit of competition and creativity alive and well. I don’t think its a coincidence that both have been posting a lot of tracks over the past few months. These two are definitely in a long artistic conversation both individually and in their new musical collaboration called The Fallen. Its special that we get to witness this first hand through soundcloud, as they both flaunt their unique styles. by DBX called Losing Control. For those of you who intently check this site, you know I have been delving into the deepest recesses of our scene to highlight ALL the sounds coming out of our city. This entails not privileging any specific genre as the “RIGHT” or “BEST” electronic sound. Rather, I am opening myself up to the diverse forms of expression that come from electronically produced music in our scene & city. Interestingly, anyone in Columbus who is interested in finding and cataloguing our sound will be instantly rewarded with a wellspring of sonic diversity. We have artists in Columbus and the surrounding cities devoted to so many genres that at times it is hard to stay updated. This week I want to highlight the hypnotic sounds of FBK. This artist has been DJ’in in and around Columbus since the early 1990’s and has been creating music that is gaurenteed to make you sweat on the dancefloor. FBK is not that interested in pigeon-holding himself to one genre. Instead, he draws from all strands of music relevant to his his mission of creating dark, hard driving, & hypnotic music that will get your feet moving. This DJ/producer has had a prolific pruduction output for over 10 years, started his own record label called Absoloop, & is still dedicated to throwing down a huge set to hold down our city. He even has time for to produce with another Columbus Based producer/DJ Plural on a side project that have called The Fallen. (Check out all their tracks on their Soundcloud HERE). Yet, I feel few people in our scene aren’t aware of this cat. The funny thing is that FBK isn’t just some local guy producing in obscurity either. He has been held down by some of the legends in the techno with support from Claude Young & Marcel Dettman both in live sets around the world and in compilation mixes. He also has been releasing his originals for some time on record labels all over the world. Its kinda ironic that we haven’t seen him spin more in our scene when he is respected by some of the biggest cats in techno in Europe and has played all over the country. Thus, I am to reintroduce him to all ya’ll as an important artist to know. I know I am proud to call him one of our own, as much as I am proud to rep all the rest of OUR people. “Hm…for many of us, we remember having that ‘aha!’ moment where it became clear as to what we wanted to do. I’ve been trying to pinpoint what it was that I heard that made me really start….Was it “Rockit” by Herbie Hancock (with grandmaster DXT)? Was it hearing “Planet Rock” while watching breakdancers at the Salesian Boys Club? Was it hearing “Egypt Egypt” by Greg ‘the egyptian lover’ Broussard? You want more FBK? Make sure you Follow him on Soundcloud and on Facebook. “I believe that variety is the spice of life, so I cannot truly name one specific track that started it all, but rather a group of them that have shaped me as a listener and a producer. My first love was hip hop. Everything from Black Star or Slum Village to Ma$e or Notorious B.I.G. Was what I was blasting in my early years. Slum Village’s track, Fall in Love, was a simple but very well produced track by the, now legendary, Jay Dee (RIP) who was 1/3 of the group.The snare was what caught my ear and I became interested in how he got it to sound that way. So I picked up fruity loops and began learning how to produce. My tastes quickly expanded to Drum ‘N’ Bass and I picked up a record by A Guy Called Gerald, Essence. The title track from that record was stuck on repeat in my room for months!!! It has deep bass and classic drum samples that echo back to hip hop production, but the tempo was what really grabbed me. It was so chill, but so fast paced. Incredible stuff.I immersed myself in Drum ‘ N ‘ Bass from that point on and picked up Dieselboy’s The Sixth Session CD. Invid (E-Sassin VIP) shifted my attention to raw power and chaos. It was that song that got me to be heavily interested in IDM artists like Aphex Twin & Squarepusher, and other DNB artists like Photek & Reid Speed (Before she went Dubstep). It was at this point that I started understanding quality song structure and pop sensibility and the 2 records that probably most define me as a producer dropped in the same year. Kingpin is no stranger to Local Autonomy. I have been covering him for some time. Guy knows how to get a floor movin’, and his track selection is second to none. Yet, this is the first time we get an in depth look into the music journey that brought kingpin to the place he is in our scene today. 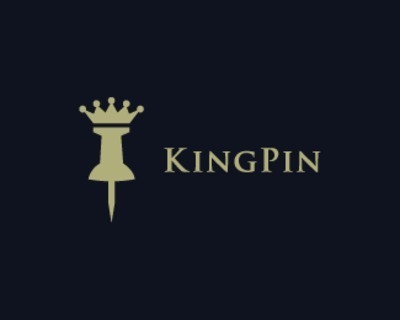 Kingpin is the third installment of the Track that Started it All feature. Here is his story in his own words. “For the purpose of this post, I have to really adamantly share 3 different songs. Secondly, I am going to share with you the song that got me interested in djing. I am frankly a bit embarrassed to admit this, but I became interested in DJing right at the time that mashups were starting to blow up on the internet circa 2006-2008 and Girl Talk was really huge. I remember being amazed the first time I listened to his mix album “The Night Ripper.” As it basically was taking every song I know from the radio growing up, throwing it into a blender, and turning out into a great big party. At this point in my life, I had started college and it was only in college I realized that I was waaaaaay more into music than most people were and I usually picked out the music to play at parties. After Girl Talk, I realized I really liked music that made people dance and I picked up djing shortly there after.”Bounce That” is probably my favorite “song” from Night Ripper. So peep that here. And finally, the song that really sold me on EDM. Probably unlikely for some people, but not for me given my musical background. I grew up with hip hop via my older brother. I remember my friend Garrett telling me I needed to check out a “group” called MSTRKRFT. I did and I was immediately amazed with the high energy dance music paired up with some of my favorite rappers rapping over the beats. Beats that were much faster than traditional hip hop beats. “Bounce” was probably the biggest song on the album and the most catchy of them all. It was “Bounce” which really made me fall in love with electro music and thus EDM as as whole. I I luckily found out that MSTRKRFT was coming to Columbus a few months after getting into them, and to this day that show was one of the best music experiences of my life. I spent the rest of the summer after that show learning how to be a proper DJ who mixes tracks. And the rest was history. “I can go back all the way to the 80’s and tell you that Depeche Mode – Enjoy The Silence and KLF – 3am Eternal were probably the ground-breakers. I’m sure there were others, but those are the two that really stand out. If we move in to the 90’s, I enjoyed The Prodigy, Crystal Method; still wasn’t quite at fanatic-status as of yet. This is when the bug sunk it’s mandibles into my brain and stayed latched on. This was it; the jump off. I had always had a thing for electronic music, but this was a new level of awesome. From then on, anything I could find that had Oakenfold’s name on it, I bought. I even followed up in the Tranceport series: Dave Ralph’s 2 disc set, Sandra Collins’ Tranceport 3, Max Graham’s Transport 4 (remember not liking it that much). Looking back on it today, and now being able to more or less genre classify this music instead of just calling it “Techno” like n00bs of my generation did, Oakey introduced me to not just Trance, but Drum N Bass, House, Breaks… None of that was relevant at the time, I just knew I liked it. He was certainly a very integral part of molding my obsession. or if you refuse to leave Columbus or just can’t get enough of these guys then make sure to attend the special New Years Eve Party at Circus with networkEDM, Carma & Attak, Burgle & Fabyan its sure to be a must-see show. 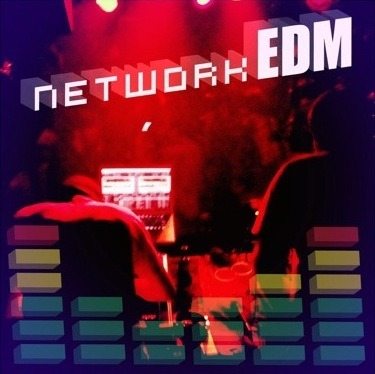 So we all have that song that plunged us head deep into the depths of electronic music. Over the next few months I will be asking various DJ’s, VJs, photographers, Videographers, writers, and dancers from our Columbus scene to share with us what their first track was when they got it and they couldn’t stop listening to these sounds. Maybe there will be interesting overlaps. Maybe we will find foundational stories of the role electronic music plays in peoples lives. Who Know. The Possibilities are endless. I will Start it off with my track that Started it all. I was hooked the minute I heard Orbital’s track “Halcyon”. I was 14 years old and was watching the cult classic movie “Hackers”. The track hit as the main Character looked to restart his life in New York after moving away from his childhood homw. I was immediately taken by the beauty of the song, but had no other frame of reference for the track. It spoke to me of experiences of transition that we all experience growing up. Yet, I had little in the way of knowing what the song was. I searched everywhere for it. The internet was slow in those days, as the dial up connections were common. When I finally found it, I played it over and over again. I just let the beautiful trancey rhythm wash over me. Yet, I had no where to find more current electronic music and had no scene anywhere close to me. It wasn’t until over ten years later when I moved to Columbus that I was actually able to join a scene and realize the power of electronic music live. I haven’t looked back. What’s Your Story? Let’s open the conversation up. Email me your track that started it all and your story at local.autonomy@gmail.com and I will try and include you in later iterations of this feature. Or you can hit our facebook and post it right to our wall. Let’s Build our Scene together and create a Unified Story.